Are you looking to hire a Tree Surgeon in Paddington but overwhelmed by choice? Don’t complicate your decisions! 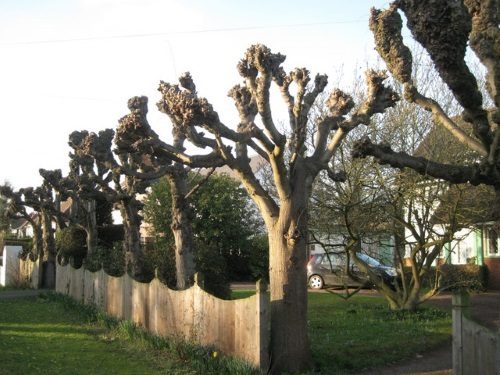 GraftinGardeners have expert arborists with unrivalled experience in the tree industry. We have tree surgeons in W2, London and surrounding areas, ready and able to complete any tree works you may require. Our tree company provides a competitive tree surgery service and always carry out works to a high standard. We have tree specialists on standby ready to come and inspect your trees. 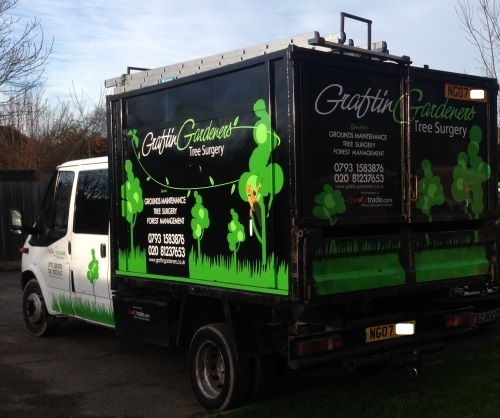 GraftinGardeners have reliable, honest and trustworthy tree surgeons operating in Paddington and surrounding areas. We have worked in the arboricultural industry for over 7 years and have tree specialists that can perform any type of tree works, from tree pruning to complete removal. If you require tree surgery in W2, contact us now. We will send a tree specialist round to your property to insect your trees and give you an onsite quotation on any and all of your tree works. Do you want a dead, diseased or unwanted tree removed from your garden or property? If you need a tree felled we can help! Our tree surgeons are well equipped to perform tree felling operations and can fell and remove any trees regardless of size and location. We remove all trees in a safe and well controlled manner, either by sectional or straight felling (where there is enough space), and always work to UK safety laws. Contact us now for your free tree removal quote. DIY tree pruning is not recommended because it can have adverse effects on a trees health and leave it open to infection if performed incorrectly. Never try to prune your own trees; instead you should seek the advice of an expert with the correct experience and knowledge in tree maintenance. Our tree surgeons always cut, trim and shape trees by closely following the guidelines set out in the (BS 3998), ensuring your trees are left in a well-balanced and healthy condition with a good overall shape. Want an awkwardly placed tree stump removed from your property? 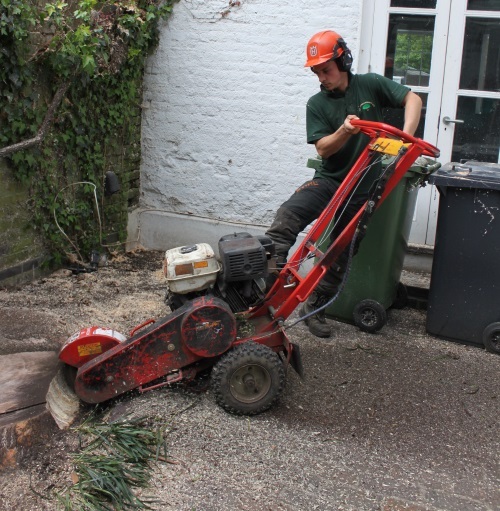 Our tree surgeons are experts at removing old and unwanted tree stumps and have all the necessary equipment to perform tree stump removal operations. We use a combination of the hand tools and our stump grinder to remove stubborn stumps with ease. We will grind out your stump, fill-in the resulting hole and bring the surface back up to ground level. We could have that stump removed within the hour. Contact us today for a free quotation. Dead, diseased or damaged trees often fall in bad weather and storms. When this happens, it often causes lots of damage and disruption to your surroundings and can be a pain to clear up. If you have a fallen tree on your property, don’t panic. Our tree surgeons are experts at clearing up fallen trees and will help you to get thing back to normal. We will remove any fallen trees and clear any mess left behind. Our emergency tree service runs 24 hours a day, 365 days a year, were on call 7 days a week for all tree emergencies. Ivy has damaging properties that can cause all sorts of problems for your property and its structure. 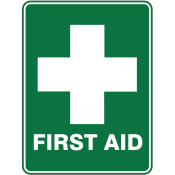 For example, woodwork can rot, brickwork and joints can get compromised and in worst cases roof tiles can be lifted up. Don’t get left with a huge repair bill, get GraftinGardeners to come in and remove it! We always remove ivy from the source, thus ensuring it doesn’t come back anytime soon. Our company also offers an ivy and climber maintenance service. We can cut, trim and shape it to best suit your needs. Contact us now for a free quotation. If you need help plating a new tree in the garden we can help! Our team has lots of experience when it comes to plating trees and you’ll find our knowledge on tree cultivation and management is second to none. We can source the best species, so your new tree gets the best possible start in life. We can literally guide you through the whole process and we even offer great advice on tree aftercare too. 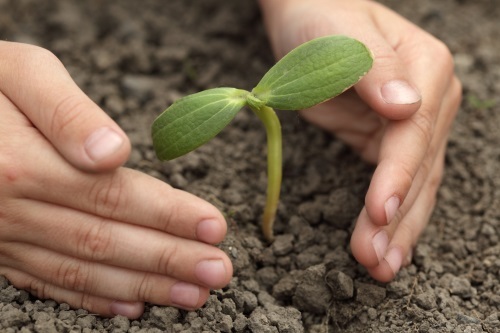 Contact us today for a free tree planting quote. You want your hedges trimmed or shaped by a professional trimmer? GraftinGardeners are experts at trimming hedges and can skilfully craft, shape or reshape any type of hedges, from small box hedges all the way to large conifers no job is to big or too small us. We can cut, trim and shape hedges into whatever style you like. Simply instruct our arborists or leave it to us. 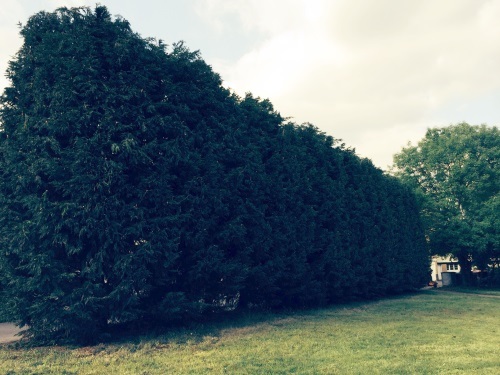 Whatever option you choose, we guarantee to leave you with perfectly shaped hedges, every time. Pollarding is an extreme form of pruning and is sometimes the only way to keep certain tree species under control, such trees are willow and poplar. It involves cutting back all branches and limbs and should only be performed on the correct species. If you’re not sure what type of pruning your trees require, call us today. We can come round and insect your trees and advice you on suitable pruning options.